Atria/Emily Bestler Books, 9781451616927, 336pp. 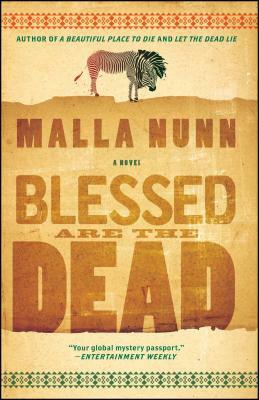 Detective Emmanuel Cooper returns to solve a darkly romantic mystery in this rich and complex novel by Malla Nunn, author of Let the Dead Lie and A Beautiful Place to Die. The body of a beautiful seventeen-year-old Zulu girl, Amahle, is found covered in wildflowers on a hillside in the Drakensberg Mountains, halfway between her father’s compound and the enormous white-owned farm where she worked. Detective Sergeant Cooper and Detective Constable Samuel Shabalala are sent to the desolate landscape to investigate. They soon discover that Amahle’s life was woven into both the black and white communities in ways they could never have imagined. Cooper and Shabalala must enter the guarded worlds of a traditional Zulu clan and a divided white farming community to gather up the secrets she left behind and bring her murderer to justice. In a country deeply divided by apartheid, where the law is bent as often as it is broken, Emmanuel Cooper fights against all odds to deliver justice and bring together two seemingly disparate and irreconcilable worlds despite the danger that is arising.